Whats?! In the HAT!? : WOA! WOAH! woa. Wow. Less than two and a half hours I was on WoW after the new big patch and I have already had my mind blown by the changes, gotten two achievements and started my Forsaken Hunter out of Deathknell and into level 6-8 territory. And as I have said and will continue to say, "I'm FREAKIN out, man!" So, ever since the first mutters of the huge changes to Azzeroth I have been cautious and vaguely ignorant and resentful of many of the changes. 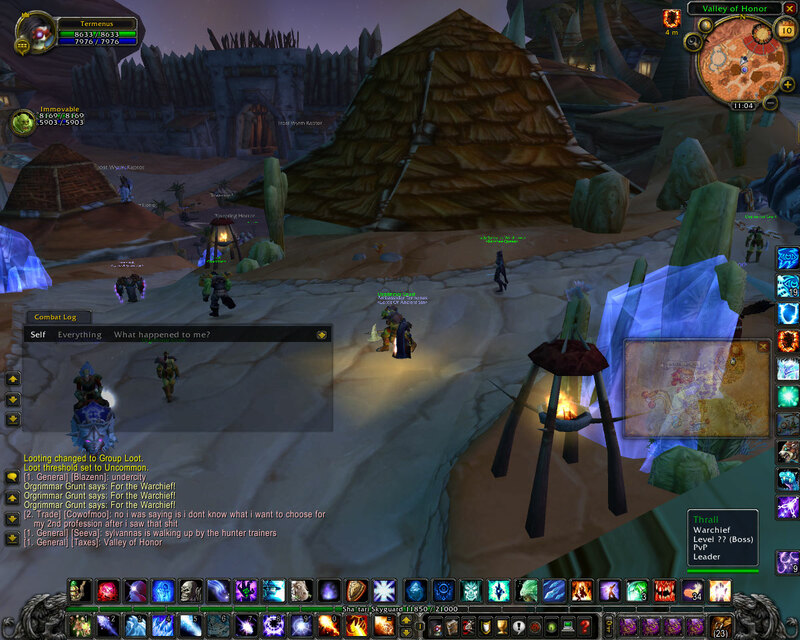 BUT, I will have to concede that this is an excellent change in order to want me to play WoW again. It almost feels like an alternate universe and I guess it kind of is considering the World is "new" but still very familiar. I am VERY anxious to learn all the new nooks and crannies that have been placed. I also resolve to play ally side more in order to get "my full experience." More and more it dawns on me that I have been jipped half a game experience because of my "horde only" mentality. and while I will remain Horde Loyal in all disputes, I will make a conscious effort to experience as much ally side content as Horde. However, being who I am, I will also shed a tear, raise a glass, pour out a drop from the bottle, for vanilla WoW. 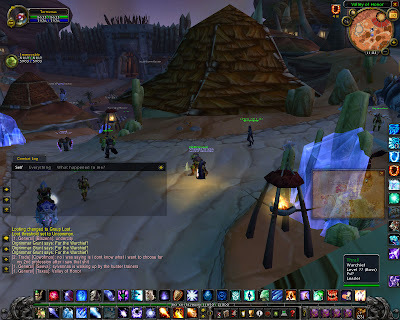 I will miss lvl 12 Gamon, painfully trekking across barrens with no mount or speed increase, getting ganked by a world dragon in azshara trying to get a stupid quest done, getting lost in 1k needles cause you cant find your way in all that brown/gray with nothing but pillars and walls around you. I will miss much, much more, and I honestly feel strange about the idea no one will ever experience that again.